ATV Riders like to stay at Swiftwater RV for easy access to Hells Canyon and a multitude of other highlights. Have you ever wondered where you can travel to in Central Idaho to setup ‘Vacation Central’, where the RV Park is friendly and welcomes big rig Motor homes, Fifth Wheel RVs, Toy Haulers, Vintage Campers, and even tent campers, plus where the location is on the mighty Salmon River, but is quiet & has all the amenities that adventurers could ever want? I want to share this secret with you, because its absolutely one of the BEST SPOTS in Idaho! You can park and get your base camp setup, feel that your personal property is safe and secure, so that you can go out and explore and utilize a network of fabulous roads and trails that can keep you occupied with new destinations for weeks, if you can spare the time. Swiftwater RV Park in White Bird Idaho sits right on the Salmon River with convenient access off of Hwy 95 by way of ‘Old 95’ (exit just south of the Main White Bird Exit and south of Hoots Cafe). This wonderful oasis sits right at the junction of Silver Bridge that crosses the Salmon River and will offer multiple directions for your adventures on wheels! 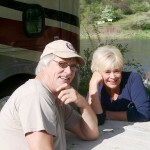 Not only is Swiftwater RV Park owned and operated by a very hospitable, friendly couple – Anna and Duane Ousley – they live on site and keep the grounds and amenities very clean, tidy and guest-friendly. Bring your rod and reel for fishing right near the park or cross the bridge to fish the other side where the swirling eddies are perfect. Swiftwater RV Park is a really fantastic location for views of the river, and there is a nice shelter for BBQs and enjoying a little shade while relaxing with a cup of java in the mornings, lunchtime gatherings or kicking back with a nice cold beverage after a day of fun trail riding adventures. 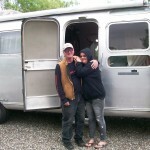 And that’s what I really want to share with you about Swiftwater RV Park. If you’ve been on the hunt for Hells Canyon Area Campgrounds, Swiftwater RV Park is the cats meow. For safe operation on roads the following equipment is recommended. Headlight and taillight after dark/poor visibility. Horn audible at 200 feet. Mirror showing roadway 200 feet behind the OHV. County roads are appropriate. Never ride on a State Hwy or you could get a ticket or worse. Make sure you always take extra gas and plenty of water to avoid dehydration in the hot dry summer season. Your vehicle should also have a muffler. It’s your responsibility to be street legal and follow the regulations outlined. Now you’re ready for fun and exploration in the area of Hells Canyon National Recreation Area, even right down to the Snake River! Two different directions will usher you into a network of trails into public lands. 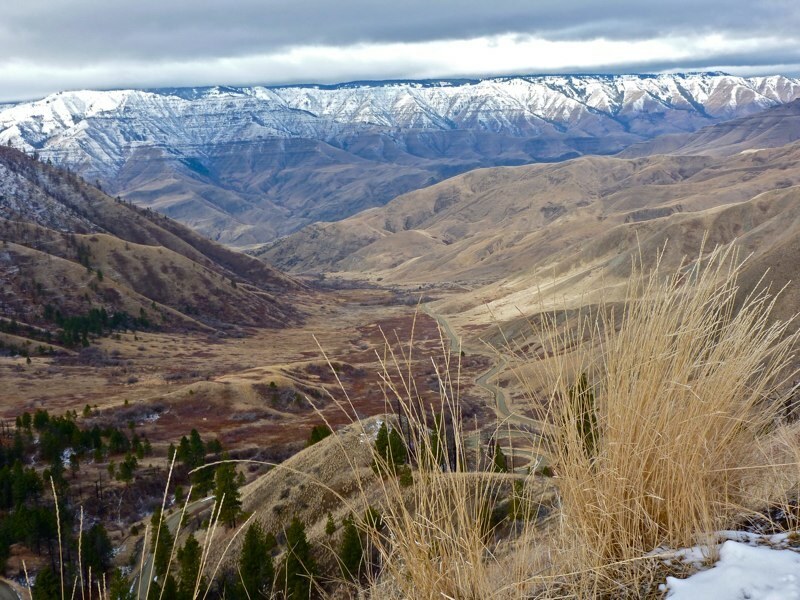 We’re focusing this blog article on heading west across the bridge for access to Hells Canyon area trails, wildlife sitings and beautiful vistas as far as the eye can see. Today, we’re going to focus on the the opportunities to explore trails West of the Salmon River. Deer Creek Road is maintained by a county road crew and is generally maintained in good condition all the way to Pittsburgh Landing Marina. You’ll drive around 17 miles from the Swiftwater RV Park up over the ridge and then on a stretch of hairpin turns. The landscapes are beautiful and as you’re heading west off the ridge, you’ll see the Wallowa Mountains in the distance which are across the Snake River in Oregon. Remember, vehicles, big rigs, trucks hauling boats and other motorized vehicles are coming and going on Deer Creek Road, just like you, so use common sense and responsible safe driving, especially on blind curves and the hairpin turns. Once you get the lay of the land, you can reference your maps and signs to take other fun tours both on your motorized fun toys and on foot. Len Jordan, who occupied the site with his family in the 1930’s, later became Governor of Idaho and a U.S. Senator. The family’s matriarch, Grace Jordan, wrote a book titled Home Below Hell’s Canyon where she shares her pioneer experience of raising a family beyond civilization during the Great Depression. Read here for more historical details of this fabulous spot off the beaten path. The Forest Service appoints volunteers seasonally, a month at a time, to stay at Kirkwood Ranch for the purpose of answering questions, tallying the different type of visitors and generally sharing the history and stories about this legendary ranch on the Snake River. Some adventurers like to ATV into Kirkwood ranch, and that access requires hauling your OHV’s to the town of Lucile Idaho, crossing the bridge and heading up the ridge and back down again on the designated trail..
Locals like to take a side trip on Forest Service Road #1805 over to Big Canyon. That side trip is 11.3 miles one-way. The #1805 road is rougher than the road to Pittsburg. If you go over to Big Canyon, be sure to open and close the gates in that area. The Forest Service keeps a number of pack stock animals in there during the winter, and at times, recreationists have neglected to close gates, and the animals have gotten loose. Thanks! There’s an old cabin where a lot of adventurers stop to eat lunch or just stretch the legs. The Idaho Pathfinders ATV group regularly visits the Big Canyon trail to remove debris and generally maintain the trail so that everyone can use it without trees and big rocks blocking the trail. Check out this article about the IPA Club and why it makes sense to support their good work. For access to a network of trails and roads from Hells Canyon area campgrounds and RV Park, choosing Swiftwater RV Park as your base camp will offer a fantastic centralized location for heading over to the little town of White Bird for lunch or dinner at Red’s Eatery, the Silver Dollar Bar and the future re-opening of Mac’s Supper Club (date unknown). Or you may choose to head north to Grangeville Idaho or south to Riggins Idaho for breakfast, lunch or dinner options. For adventure and exploring Hells Canyon, Pittsburgh Landing, hiking into Kirkwood Ranch or exploring Big Canyon, access is convenient and easy to head out for the day. Anna and Duane of Swiftwater RV Park look forward to your inquiries and advanced reservations and welcoming you to the area.